The kids (and I!) 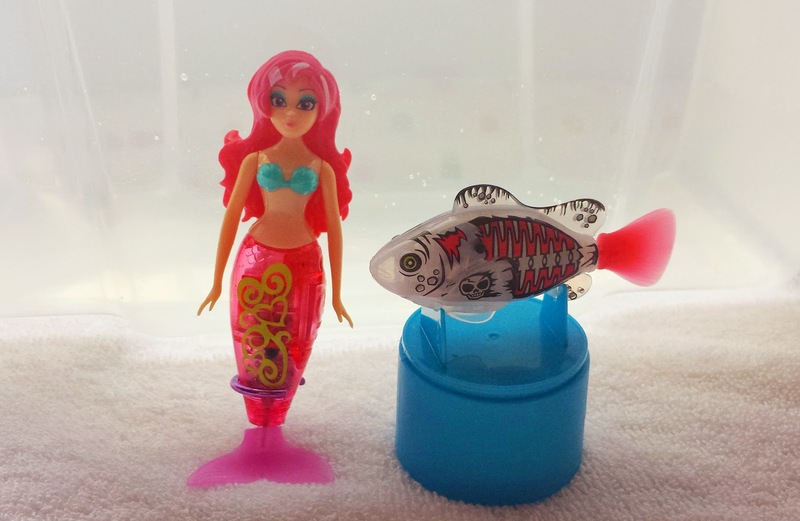 have really enjoyed reviewing Zuru’s new Robo Fish and My Magical Mermaid. They have been great fun to play with and fascinating to watch. 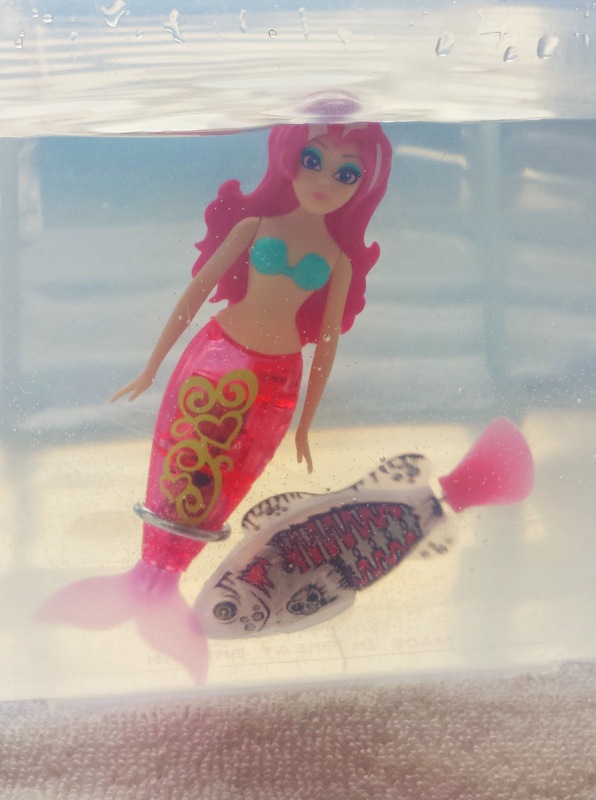 Robo My Magical Mermaid is the new addition to the multi award-winning ROBOFish line. 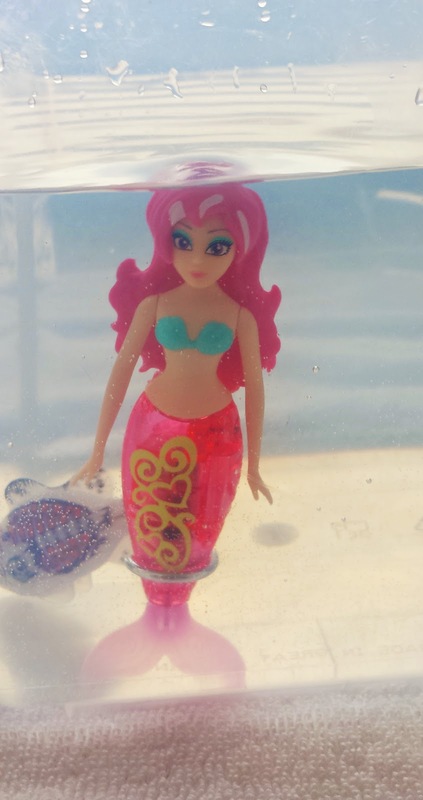 Simply drop your Mermaid into water and watch her come to life and the colour changing LED light transforms the water into a magical new world! I can see why this toy is featured in The Entertainer’s list of Top Toys for Christmas 2014. 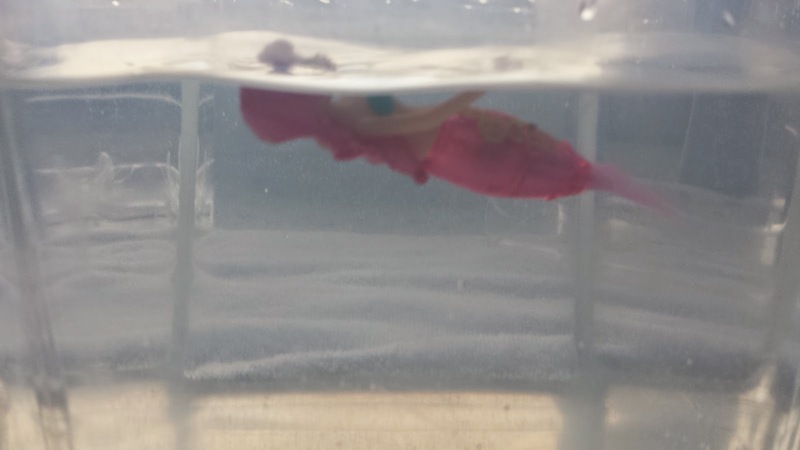 ROBOFish PIRATE mimics the motion and characteristics of real fish, using the newest aquatic robotics technology that automatically activate when placed in water using carbon sensors and automatically stops when taken out! We liked the tube packaging that they arrived in and have been storing them both in this since. You can buy both these toys in playsets with tanks but we just filled up a plastic box with some water and it was as much fun. I can see the kids decorating this tub to be more like the sea soon. 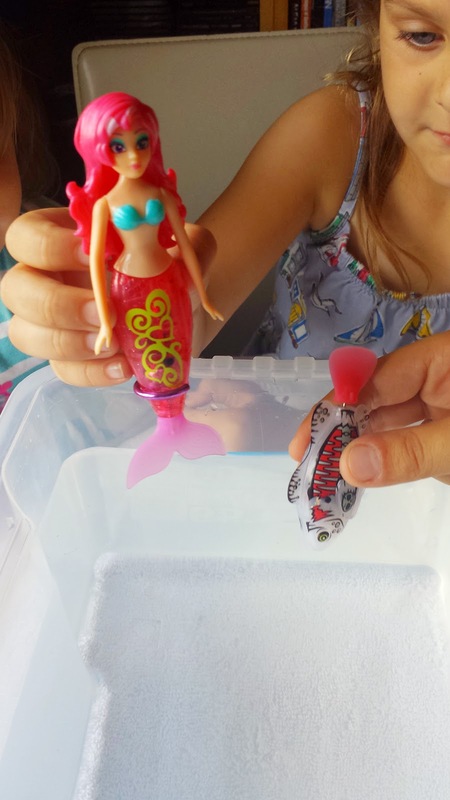 Once out of the packaging, you just pop them into the water and off they go- it is amazing! 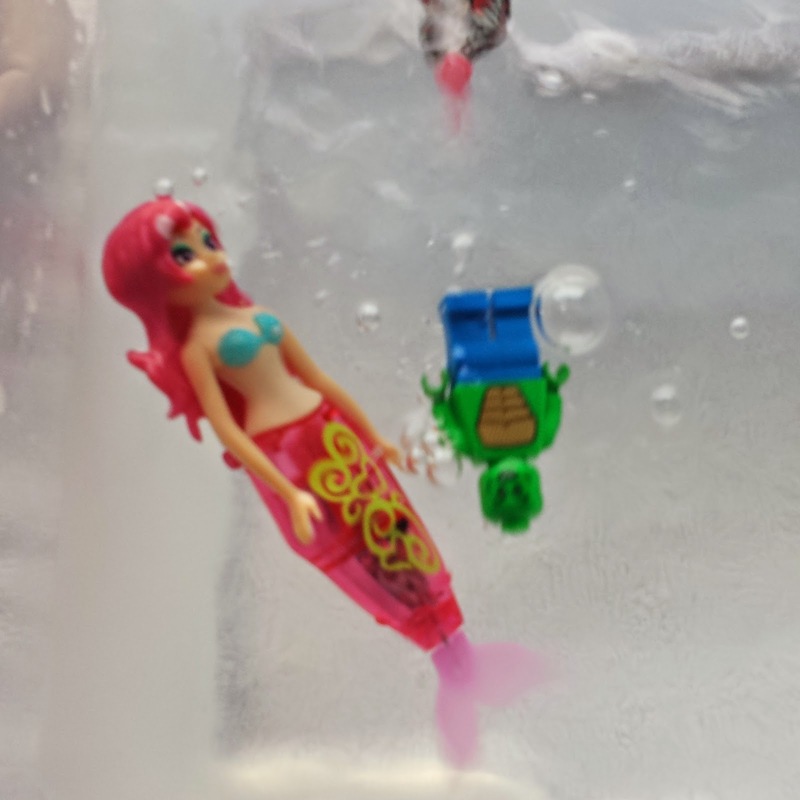 The Robo fish is quite fast and inquisitive- it really seemed to interact with our mermaid friend. 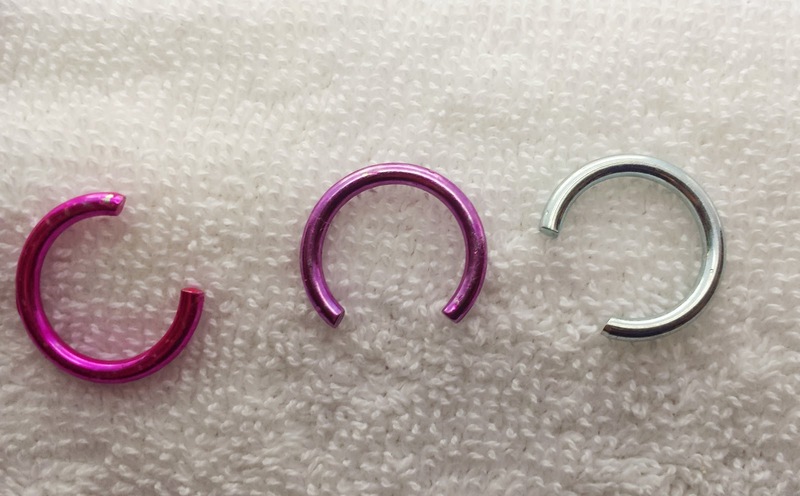 Our Magical Mermaid came with different weighted hoops, enabling her to swim in different ways. The kids played imaginatively with their new toys and made up stories. Other toys came out to play too- this photo bomb did make me laugh! As well as weighted rings, both toys come with spare batteries. Everything can be stored neatly in the tube pack, making these a well thought out and well made toy. I think these would make great birthday and Christmas gifts. 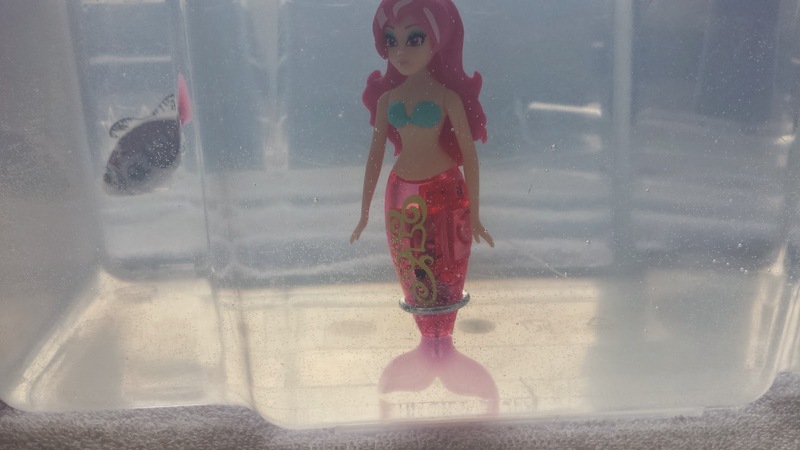 I rememember when I was a child, there were mermaid dolls who would swim on the adverts, then you would buy them and have to “swim them” yourself- I used to feel so disappointed. I love it that toys like this are really available for my kids to play with now. 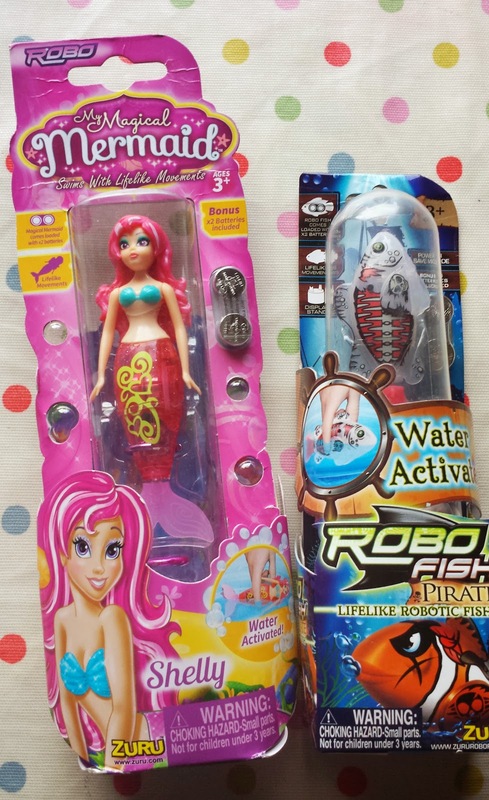 Fancy having your own Robofish Pirate or My Magical Mermaid? You can buy both toys at Argos, Asda, The Entertainer, Smyths, Tesco and Toys R Us stores. We were sent these Zuru toys to review. All opinions are honest and our own.